The Stratford-Kinlock MLA defeated lone competitor Brad Trivers at the PC leadership convention Friday night. James Aylward is the new leader of P.E.I. 's Progressive Conservative party. The Stratford-Kinlock MLA defeated lone competitor Brad Trivers at the PC leadership convention at the Rodd Brudenell River Resort Friday night by a vote of 1685 to 1107. Aylward waved and cheered as he was named the new leader, thanking Trivers for a tightly contested race and inviting him on stage. "Let's be unanimous in supporting James Aylward as next party leader," Trivers said, handing the podium to Aylward. "We have a lot of work ahead of us," Aylward said as he took the podium. Aylward turned his attention to the byelection coming up following the recent resignation of Liberal MLA Doug Currie. "Right now we have a very major task in front of us, we have a byelection coming up in the next few months," he said. "The caliber of people coming forward are second to none, you're going to be incredibly amazed at the individuals seeking that nomination — we will win that byelection," he added. 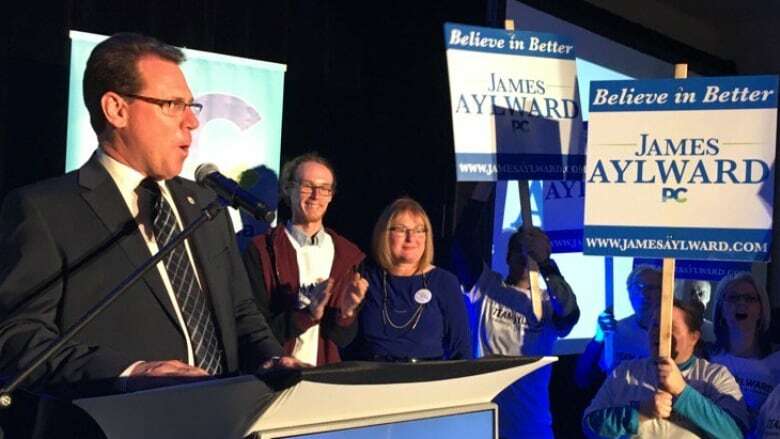 Aylward said work starts Saturday with the PC Party's annual general meeting — after having a post-convention breakfast with Brad Trivers that morning. "We will collectively … roll up our sleeves and begin the process of working towards forming government in 2019," he said. "We will do this and we need you there with us." Following Aylward's speech the people in attendance clapped and cheered. Former premier Pat Binns won the 50/50 draw, but donated his share back to the party. All eight current PC caucus members were in attendance for the leadership convention. Margaret Anne Walsh, interim president of the P.E.I. PC Party was at the convention on Friday night, as was former federal MP Gail Shea and former P.E.I. PC leader Rob Lantz. 2,799 ballots were cast in the leadership bid — including the seven spoiled ballots. 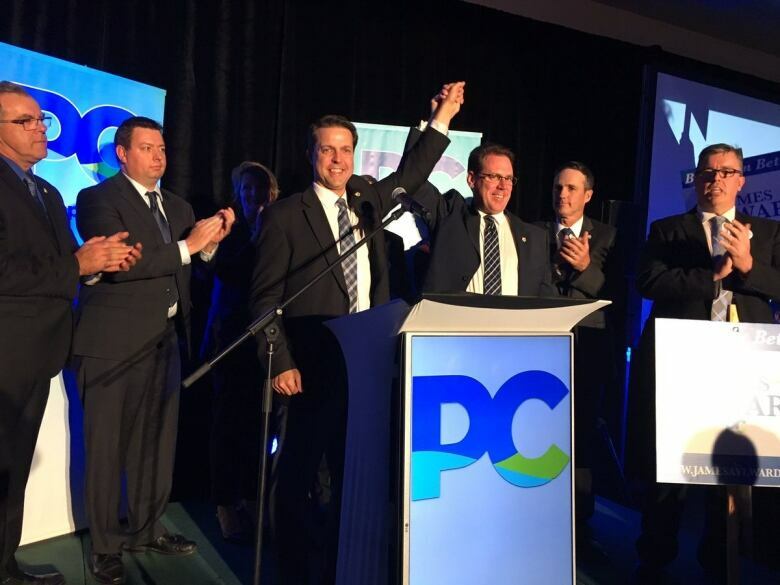 The party's search for a new leader began with the resignation of Rob Lantz following the 2015 provincial election. Jamie Fox took on the role of interim leader. MORE P.E.I. NEWS | The babies are big, the mothers are young: Facts about birth on P.E.I.